This post is filed under Broccoli, Chicken, Frozen, Microwave, Pasta, Rigatoni, SmartOnes. 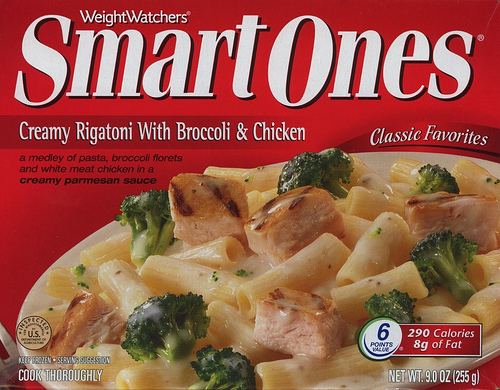 Smartones are the better of the frozen meals out there. Most of them look like the box and taste good. Can’t say the same for Lean Cuisine. *only sees this after prior comment about them* Tada! I love these things. Well, as far as microwave dinners go. Does anyone know the recipe for this? 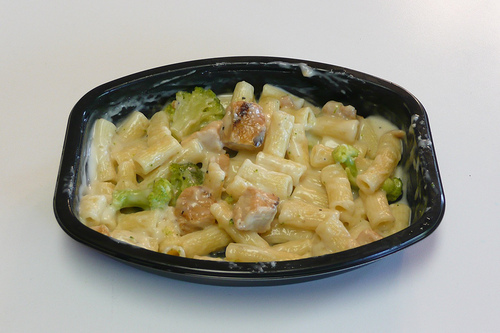 This microwave meal is very tasty!